"If they start shooting, whatever you do, don't leave the synthesizer behind"
Fasten your seatbelts: in Gramophone, the Russian pianist Rustem Hayroudinoff has spilled the beans about his studies at the Moscow Conservatoire in the last days of the USSR. It's a hair-raising read: from what eight-year-olds had to do in rhythm classes - it could make the UK's Grade VIII examiners blanch - to queuing for practice rooms at 5am in -30 degrees, plus the restaurant band job that Rustem turned down after learning the vocation of the clientele (the quote in our heading gives you a clue). Immense demands, yet equally gargantuan rewards: for all its challenges, this was the best musical training on earth. 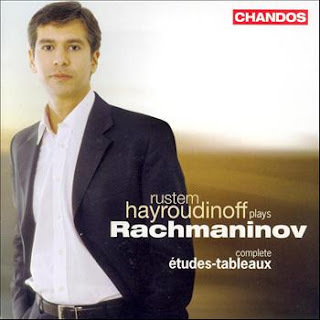 Rustem's CDs have often grabbed five star reviews and some of his Rachmaninov recordings have become "benchmarks" for BBC Music Magazine, which shortlisted him for its Instrumental award a couple of years back. But he doesn't give that many recitals, so a chance to hear him isn't to be sniffed at. This Saturday Rustem plays at St John's Smith Square. He introduces the programme himself from the microphone. It's focused on contrasts between JS and CPE Bach, Liszt's devilish and saintly modes, and Rachmaninov's extraordinary Sonata No.1, which is based on the 'Faust' legend but is rarely performed, compared to the Sonata No.2 (possibly because it's too difficult!). Do come and hear him. Maggie, Maggie, Maggie. Gone, gone, gone. Where were you when you heard the news? Ironically enough, I was in the reception area of Voice of Russia UK Radio, ready to take part in their culture show 'Curtain Up' with one of the first - possibly the very first - Russian pianist who sloped away from the USSR to study in London. 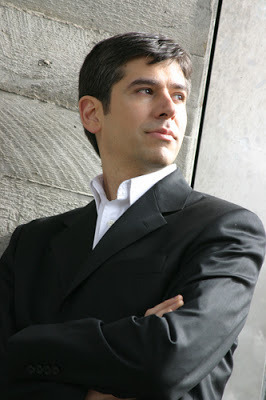 The lovely Rustem Hayroudinoff is playing at St John's Smith Square on Saturday 13 April and is now a professor at the Royal Academy of Music. Many of us Brits felt she did more for Russia than the UK. Newspaper reports this morning expose the lingering and indeed widening divisions she left behind. I was 13 when she came to power and the impact of watching the changes that took place under her rule ran deep. Everything my parents believed in and that had brought them to London rather than the US (escaping apartheid South Africa in the 1950s) was brought into question in her era. The value of collective rights and the dignity of human beings per se was under fire: from then on, all that mattered was the price of something, not its worth. The central bricks that held together the moral fibre of Britain were kicked out of its wall. The mess the UK is in now can be traced back to a fundamental change of philosophical attitude that took place here in the 1980s: it became morally legitimate to put the grubbing of money ahead of any vision of what to do with it to make a better, more beautiful world.I don't doubt that Thatcher sincerely believed in "the trickle-down" effect - but after 30 years, the limitations of the notion are all too clear. The NHS, the Arts Council, school buildings, public transport, which crumbled to shreds through lack of investment during the Thatcher years and reached rockbottom under John Major - everything that required an input of public money was slashed to pieces. In the arts, many of our finest institutions, including all the London orchestras, were sliced to the breadline. Doesn't anyone remember the later sticking-plaster of "stabilisation funding"? Has everyone forgotten the Hoffmann Report? As for London itself, the GLC was abolished wholesale; the capital city became just a conglomeration of boroughs with a broken heart instead of a full-scale identity, greyness instead of pride, infrastructure crumbling and homelessness rife. Doesn't anyone remember the South Bank's Cardboard City in the middle of the roundabout where the IMAX is now? Has everyone forgotten the Poll Tax Riots? And the Miners' Strike? What miserable, shattering, hideous, divisive years those were. How tenderly the British right-wing still clings to them today. It's been left to the country's fine playwrights to preserve the subtleties of Thatcher: the essence of the character, the paradoxes, the personality and the shadings of good intention that illuminate the person behind the nation's favourite punchbag ("I blame Thatcher"), though she is probably so with good reason. As Michael Billington writes in today's Guardian, part of her legacy is that "we are still having to argue that subsidy of the arts is a fruitful investment rather than a frivolous expenditure". We're all human. That's the only lesson, in the end. But we should be making the best of that, and helping others to make the best of it, too. That should mean expanding minds, not shrinking them; broadening lives, not narrowing them; bringing people together, not dividing them; opening us up, not closing us down; singing, not silencing. Now I'm off to the BBC Music Magazine Awards and am happy to leave anyone who doesn't already know with the happy news that Natalia Osipova is joining the Royal Ballet right here in good old London. We must be doing something right.